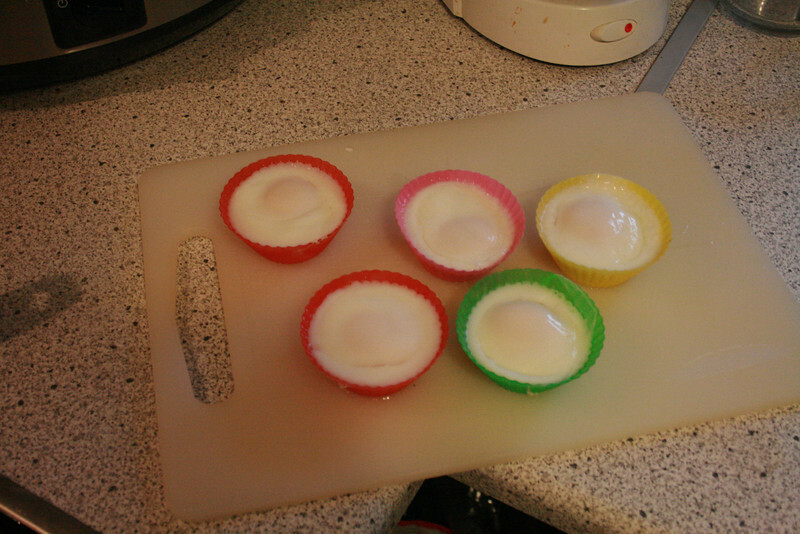 Poached Eggs in Silicone Cupcake Molds Mama Say What?! | Mama Say What?! 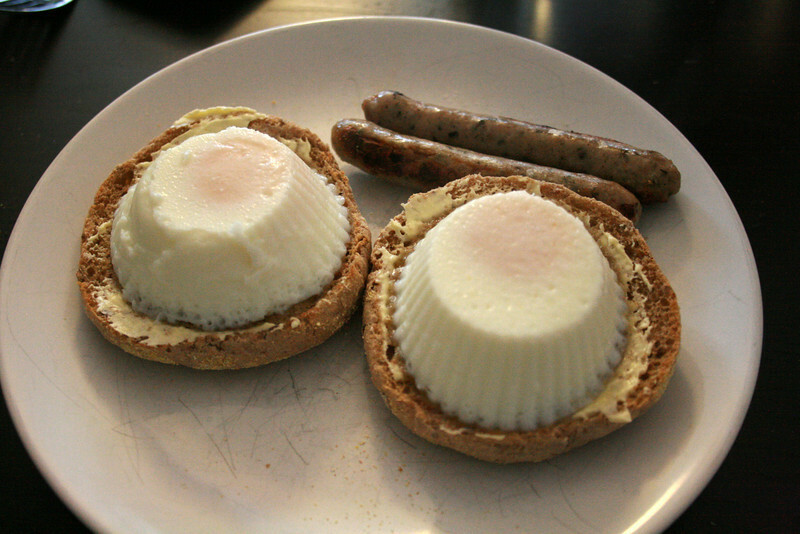 Poached eggs on toast can be such a yummy breakfast for a relaxed Sunday morning. 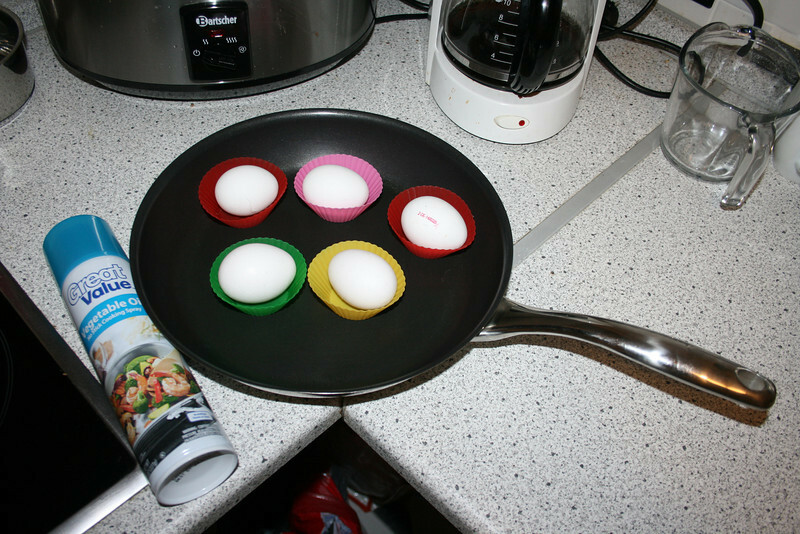 We used to only enjoy poached eggs when we’d visit my parents because my dad has a fancy egg poacher pan insert. But we wanted to have them sometimes at home, too, and one morning, we didn’t want to have to order and wait to receive an egg poacher pan insert in the mail. So my creative husband thought of trying to make them in my silicone cupcake molds. It works perfectly! Give it a try. 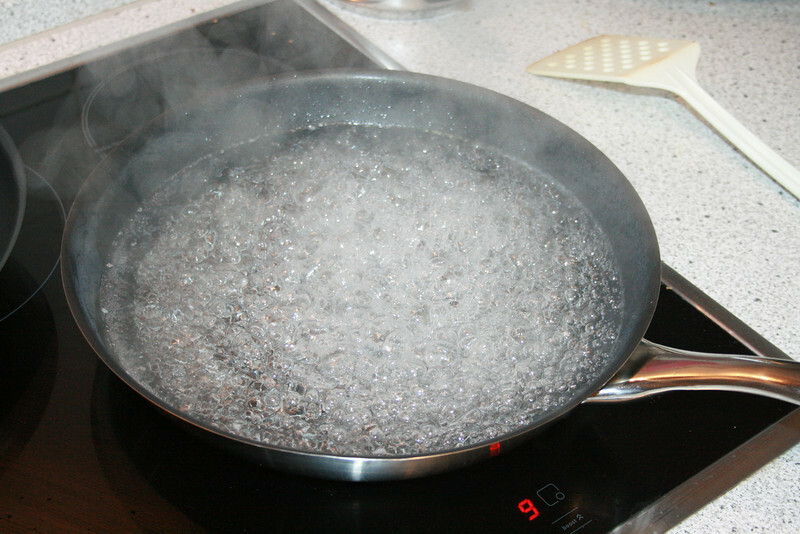 Fill your pan with water and bring to a fast boil. 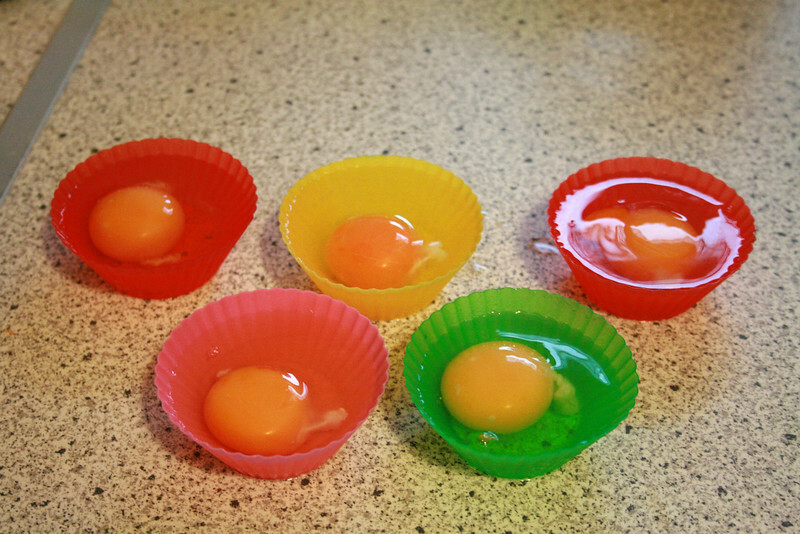 While the water is heating up, crack one egg into each silicone cupcake mold. 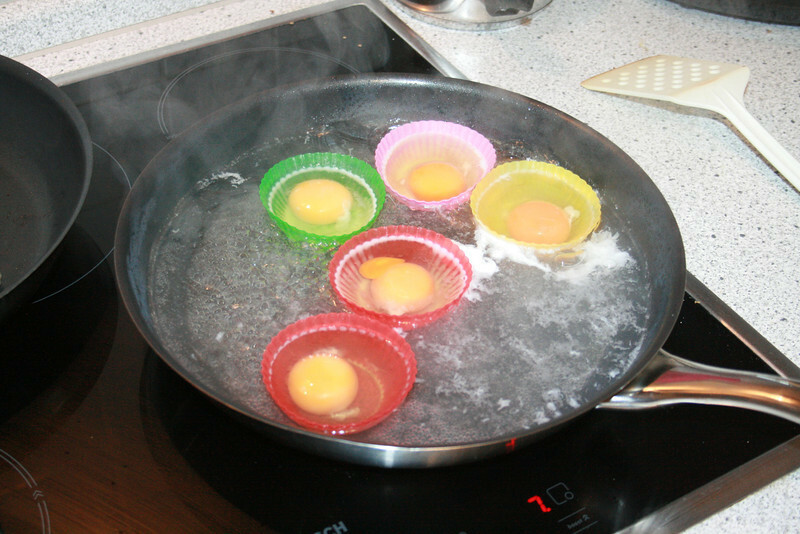 When the water starts boiling, drop the molds into the pan and cover with the lid. Set your timer for 3-4 minutes, depending on how runny you want the egg to be. 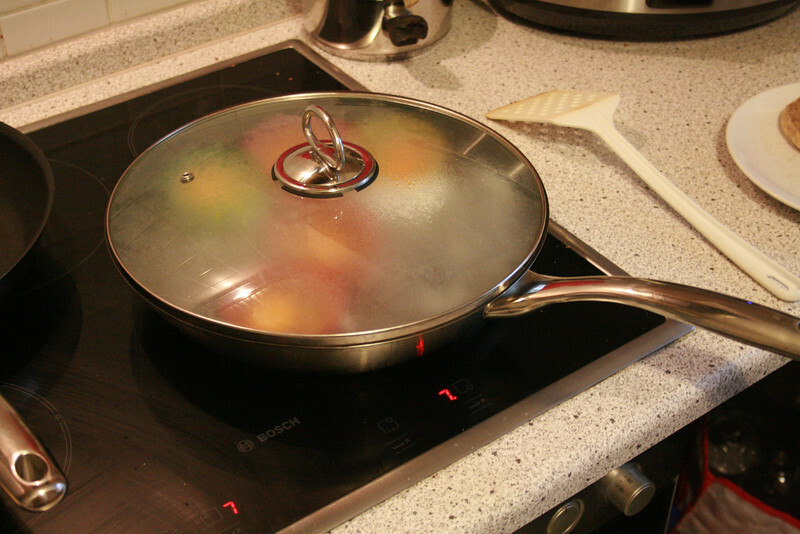 When the timer goes off, remove the pan from the heat source and wait a few seconds for the water to stop boiling. Take the silicone cupcake molds out of the water. Run a knife around the inside edges and flip it over out onto a slice of toast or English muffin. Added by Cassie W. on June 27, 2014.